Over the past few years, we have heard a great many rumors on the Chevrolet Corvette with a mid-engine drivetrain design and to date – nothing has ever come to volition, obviously. GM has never officially acknowledged any plans for a mid-engine Corvette and back in March of 2015, Corvette team boss Tadge Juechter went so far as to say that no such car existed. Perhaps he was simply saying that no such car existed because at that time, the company wasn’t selling a mid-engine Corvette – so no such car existed. It is all in the wording, but Juechter’s comments seemed to kill the hope of a mid-engine Corvette. Those hopes are rekindled, as the Corvette gurus at CorvetteForum.com have spoken with an unnamed insider who claims that the mid-engine Corvette is not only a reality behind closed walls – but it will be officially confirmed by General Motors this year. 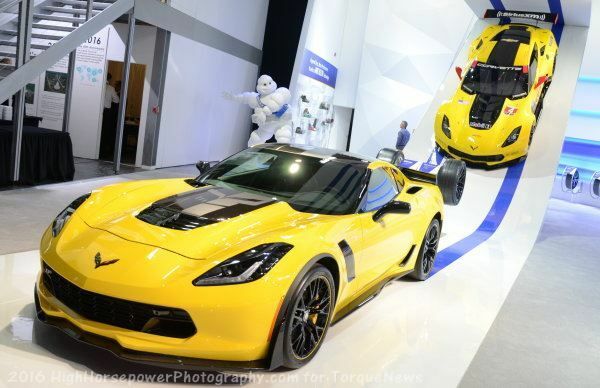 Since General Motors trademarked the Zora name last year, it has been speculated that the mid-engine Corvette would be named the Zora in honor of the man who helped make the Corvette the beast that is has been for the past half century - Zora Arkus-Duntov. Duntov’s goal was to make the Corvette the ultimate performance car in the world, and this mid-engine monster could be just that. The CorvetteForum insider also explained that the mid-engine Corvette will have a twin turbocharged LT-based V8 delivering more than 700 horsepower. The goal of the mid-engine Chevrolet Corvette Zora is surely to be the best performing American car of all time, and this car could arrive in time to compete with the new Ford GT - which is also a mid-engine supercar. Ford has promised that the high performance EcoBoost V6 mounted mid-ship would offer at least 600 horsepower, but they haven’t announced official figures for their sleek supercar. Perhaps they are waiting to see if GM rolls out a mid-engine Corvette, making sure that their GT packs more power. If the Zora does have a twin turbo V8, that could be a tough battle for the Ford. The mid-engine Corvette will be the best-performing General Motors vehicle ever, but it will likely also be the most expensive. With the Corvette intended to compete with the $400,000 Ford GT or the $398,000 Lamborghini Aventador, the mid-engine Vette will likely have a price north of a quarter of a million dollars. We can also expect very low production numbers, and because of this price and limited nature – I expect that this will not be called the C8 Corvette. I believe that we could see a mid-engine Corvette at some point, but I think that it will be at least 5 years before a car with that architecture becomes affordable enough to fit into the price range of the current Corvette Stingray. In other words, until GM can build a mid-engine Corvette that will only cost under $70,000 in base form, I don’t expect it to become THE Corvette. Corvette always feared a high powered mid engine Fiero. Buick could bring out a modern version with the ATS-V 464 HP V6 and upgraded FWD trans for less than the current base Corvette and with equal performance.